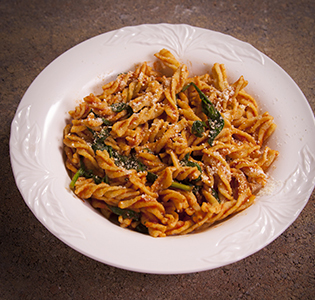 Enjoy fusilli with baby spinach and tomato sauce with grated Parmesan and oregano. That’s Italian! Cook Zone fusilli as directed. Add spinach for the last 3 minutes. Reserve 1/2 cup of liquid. Meanwhile, heat tomato sauce, garlic powder, and oregano. 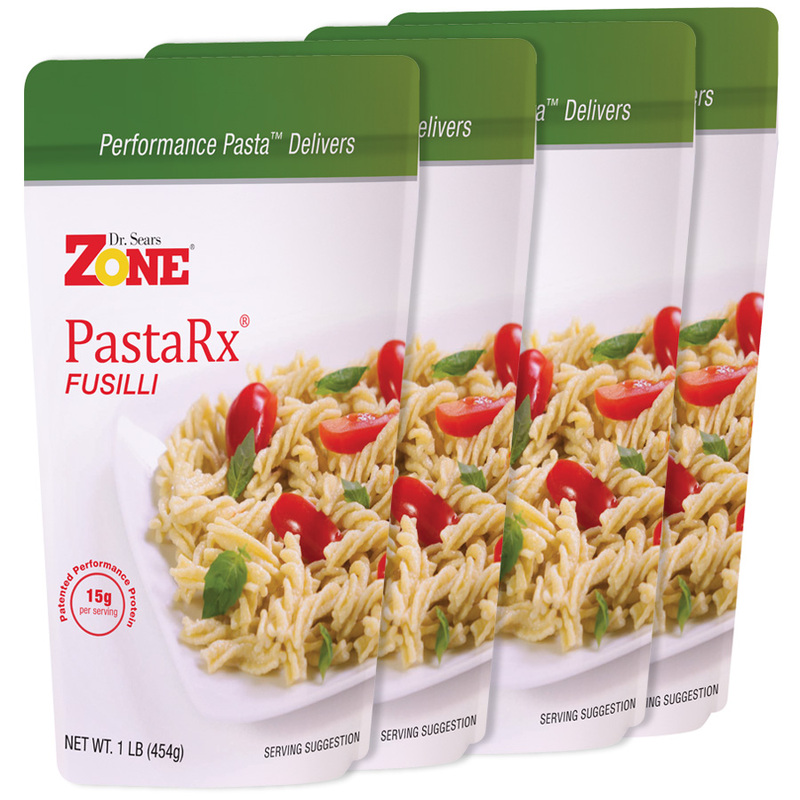 Stir in cooked fusilli/spinach and moisten with reserved liquid, to desired consistency. Stir in extra virgin olive oil, with cheese, salt and pepper.